The Green Label Saddle Bag Gold Mélange from LASSIG successfully combines subtle colors with accentuated cork features. The dyeing process saves energy. 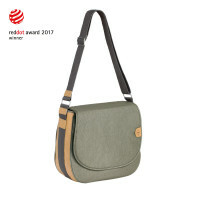 Product information "Green Label Saddle Spin Dye Diaper Bag, Gold Mélange"
The shapely Green Label Saddle Bag from LASSIG successfully combines subtle colors with accentuated cork features and is reminiscent of a saddlebag. 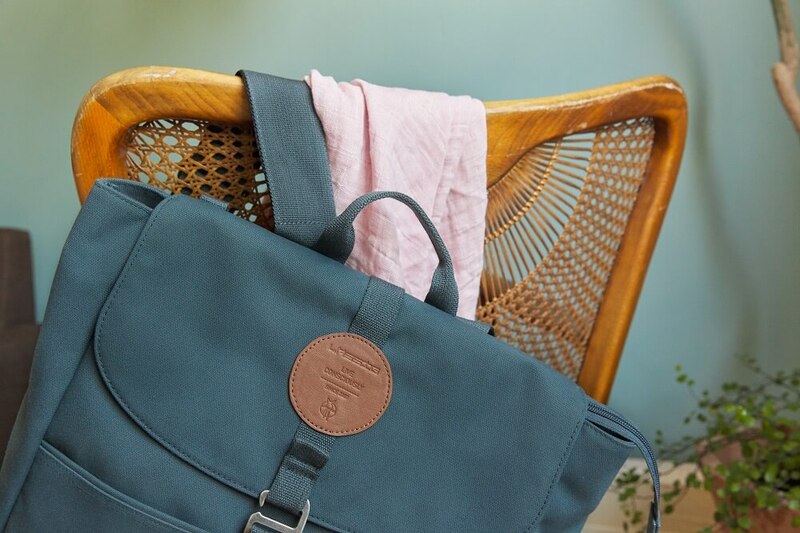 Special features: The diaper bag is produced using specially designed spin dye material which is manufactuRed in an especially resource-friendly way using a shorter dyeing process. Compared to the traditional dyeing process, during the spin dye process the color is added to the melted raw material before the material is spun into thread. This process eliminates the dye bath which would otherwise be necessary and thus eliminates the large amount of water usually associated with dyeing. By shortening the dyeing process time compared to the traditional dyeing process, water consumption is Reduced dramatically, less effluent is produced, CO2 emissions are Reduced and energy is saved. The bag acquires its unique appearance through the use of cork material on the sides and for the trim on the adjustable shoulder strap. The sustainable accessory bag finds appeal in its well organized interior compartment and array of accessories, such as a water-repellent changing mat, insulated bottle holder, removable compartment for baby food jars, baby wipe pocket, stroller attachment, water-repellent wet pocket, and a key finder, which can be removed or used for other purposes after the diaper-changing years. 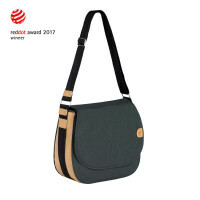 The functional, stylish diaper bag can thus be converted later into a sporty-chic shoulder bag for leisure times and other outings.